Sometimes, it’s easy to forget to say thank you. Store owners can spend so much time obsessing over the wording of review request forms or developing incentives to encourage customers to leave a review that they forget what happens after. In the past, Stamped.io has helped out by ensuring that every customer who submits a review is automatically directed to a basic ‘Thank You’ page to acknowledge the time it took for them to help out your business. But, to be blunt, there was a problem. The page was just that: basic. The branding was minimal, and the URL directed to Stamped.io rather than your store’s page. We want your store to excel. So we’ve developed a new feature, the Self-Hosted Thank You Page for Shopify Stores to improve the review experience for you and your customers. 1. Instead of directing your customer to a third-party site, customers who submit reviews will get their ‘Thank You’ message directly on your store’s site. 2. 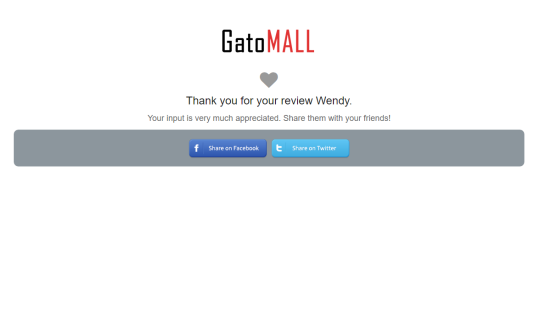 A new “Your Reviews” section will show customers other products in their order they can review and make it so you can receive even more photo reviews. By hosting the thank you page on your website, your ‘Thank You’ branding will match your store’s page exactly. The colors, the logo, and the design will all be there just as your customers are used to. This keeps your customer’s experience consistent and helps build their trust in you. Previously, if a customer wanted to continue shopping with your store after their review, they would need to click through to your store themselves. Now, there’s no extra work necessary. They’re directly on your site and are far more likely to continue shopping with you. The “Your Reviews” section will display products customers have bought in the same order but not reviewed, encouraging them to continue writing reviews. This feature also taps into some people’s need to feel like they’ve completed a task 100%. They won’t want to leave the page until all of their products have been rated! At the end of the day, the “Thank you” for shopping message shouldn’t come from us, it should come from you. We’re here to help you get that message across, but we work best when we make things happen from behind the scenes. The direct relationship between a brand and a customer is a special thing, and our new self-hosted Thank You Page keeps it that way. While positive words are great, the saying goes that a “picture says 1,000 words.” The ability to receive even more photo reviews will help your customers visualize the benefits of your products, as well as give you even more user-generated content you can use for marketing and social media purposes. Note: The Self-Hosted Thank You Page for Shopify Store feature is available for Premium & Enterprise members. In the self hosted thank you page, you have submit to Facebook and Twitter buttons on there. Is that social sharing built into your product, or did you stick some third party code in there? How do we enable this feature? Is there a guide? I found the option in my settings, but I don't know how to actually create and use this. Thanks!! Hey Brittany, i don't work here but i'll copy and paste what tommy said, the trick is to scroll down until you see the self-hosted thank you page - it's not a tab after product review. that part confused me until i scrolled down. :) You can easily access this feature in Stamped.io Settings => Product Reviews tab => Self-Hosted Thank You page. Do note that this feature is available only on Shopify :) If you've any questions just email us at hello@stamped.io and our support team will be swift to assists. Loving this option. I need a bit of help knowing how to set up my own thank you page ... any chance of some assistance? Love Stamped.io so far! This is great. How do I actually review/access/edit the page? Thanks! Hey Cindy, You can easily access this feature in Stamped.io Settings => Product Reviews tab => Self-Hosted Thank You page. Do note that this feature is available only on Shopify :) If you've any questions just email us at hello@stamped.io and our support team will be swift to assists. Hi there, Premium member here. In the self hosted thank you page, you have submit to Facebook and Twitter buttons on there. Is that social sharing built into your product, or did you stick some third party code in there? Does the custom thank you page work for Bigcommerce? This is great as I've always been meaning to sort out a page to redirect to. This is so much better than that would be. One snag, I can't find it in the settings, is the link not yet enabled?